A leaf blower is a replacement for the traditional rake or broom. Leaf blower was first invented in Japan and later introduced in the US in the 1970s. A leaf blower is used to clear away the leaves and debris at any time of the year from the outdoors easily and quickly. 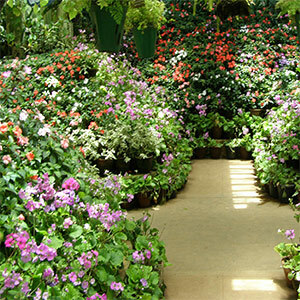 It is widely used in lawns, sidewalks, patios, decks, balconies and porches. The leaf blower is especially useful during autumn months. The leaf blower is a versatile gadget. It can be used to rake out the leaves and debris as well as vacuum, mulch and clean gutters or spray trees. It can function as a driveway sweeper and snow cleaner too. Leaf blower is an engine powered handheld maintenance tool. Normal weight of a leaf blower is 2.7 to 5.5 kilograms. Some handheld blowers have a shoulder strap. Large industrial blowers have a backpack style for wearing comfort. The leaf blower is a time saver and a must-have for city maintenance crews. Professional gardeners and homeowners with lots of trees around their houses would do well to equip themselves with a leaf blower. The size of the yard, whether large or small has to be considered while selecting a leaf blower. The air volume that each model puts out has to be considered. Weight of the blowers has to be examined. The vacuum capacity of the blowers has to be checked. Some models have a reverse capacity of vacuuming the leaves instead of blowing them away. Choice has to be made between electric and gas powered leaf blowers. Gas blowers are more powerful than electric blowers, which are quieter. Neighborhood considerations have to be kept in mind. Quiet operations would be appreciated in congested neighborhood. In a yard with lots of trees, a powerful unit is the most logical for use. Price also plays an important role while selecting a leaf blower. A good blower would normally cost about $ 100 to $ 500 depending upon specifications. Blowers perform a single simple function of blowing the leaves and material. Leaf blowers with vacuum: Blowers that come with vacuum functions are particularly useful for cleaning out leaves and debris when the space is restricted such as inside a basement window and around tightly packed plantings. Three in one units that function as leaf blower, vacuum and leaf shredder. These units are used to remove and vacuum leaves, twigs and yard clippings of various sizes from around trees, sidewalks, driveways and open lawns. Leaf blowers come with a trash can accessory to systematically collect the trash. A hose is attached to the trash can with a cloth cover. The cover is just inserted over the trash and vacuuming can be done easily. Some leaf blowers perform the mulch function. Using a compact pile baggage for disposal, these leaf blowers carry out the mulching lawn debris function with relative ease, saving plenty of time. Handheld leaf blowers: These hand held blowers are very popular. They are available in gas, electric powered versions. They are portable and convenient to use. The weight and balance of the handheld units have to be considered while making a choice of such leaf blowers. Some heavy handheld units also vibrate slightly at full throttle and make it difficult to use. Backpack leaf blowers: These blowers fit in a harness worn by the operator on his back. There is a hose, which reaches to the front where the user operates the throttle and blows or vacuums with the tube. Walk behind leaf blowers: These units are normally used in large yards with acreage. They are mounted on wheels and are usually gas-powered. Typically these leaf blowers are put to commercial use. A leaf blower can be either electric or gasoline charged depending upon the power source used. The kind of power source depends upon how much portability is needed and the area in which it is used, whether indoor or outdoor. Electric blowers are less noisy and easy to start and maintain. Gas blowers are usually more powerful and mobile because there is no cord attached. Price is no longer a huge factor since electric blowers are available for less than $30, and some gas machines are priced as low as $50. Electric leaf blowers are lightweight alternatives suitable for leaf removal. These are lighter, quieter and vibrate less compared with gasoline powered units. They are used in smaller yards. They are either battery charged or corded. Electric leaf blowers use universal motors which spin at around 10000 rpm (revolutions per minute) or more depending on their size and design. Some electric leaf blowers come with two functions - blower and vacuum modes and can be easily switched to either mode. A good-corded leaf blower provides constant power as long as there is easy access to electrical outlet. The attached cord length is important for mobility. It is however not suitable for lawns with lots of trees. Some electric models come with rechargeable battery packs to avoid the hassle of using electric outlet and trailing cord. A rechargeable battery operated leaf blower is a good alternative for small areas or jobs. It works well on solid surfaces like drive ways and garages. A battery-operated leaf blower is limited by its run time. A gas powered leaf blower is usually heavy weight. It is suitable for removing leaves from large yards and grounds. These leaf blowers come with vacuum and mulch functions. A gas-powered leaf blower uses a two stroke engine - a regular mix of oil and gas. The mobility and work output is higher. Gas powered leaf blowers are usually louder and heavier than electric blowers. 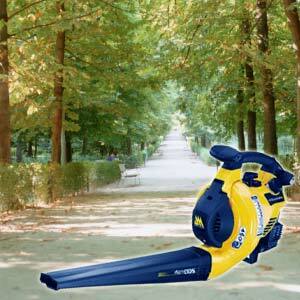 The typical cost of small electric handheld leaf blower is $ 40 to $ 70. Gas powered leaf blowers with backpack models cost $ 200 to $ 400. Powerful walk behind machines cost $ 600 to $1000. The regular charge against the use of leaf blower is the high decibel ear splitting noise that it emanates. The older versions of leaf blowers can be as loud as 78 decibels in noise. 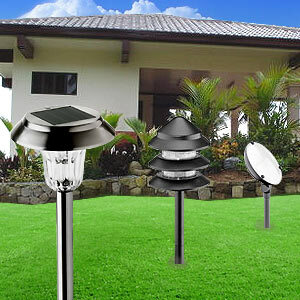 This can disturb the peace and tranquility in residential areas. Some critics maintain that the decibel level of leaf blowers can cause acute hearing loss. The gas powered leaf blowers emit extremely high levels of pollution. Landscape operators are fighting the ban because it would mean an increase in 20% costs if done manually. Several city municipal crews defend the use of leaf blowers for professionally doing away with leaves and debris in the least time. In some cities there is a total ban on the use of leaf blowers. It is better not to use leaf blowers in such places as it will be treated as an offense and involves fine. In some cities there is restricted use of leaf blowers. In such places strict timings has to be followed. 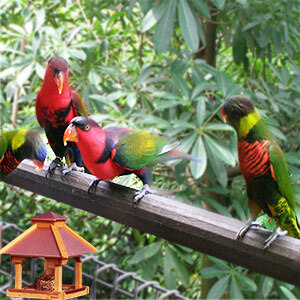 Normally the time regulation is between 9.00 am to 5.00 pm on weekdays and Saturdays. It is better to minimize high-pitched whine of the leaf blower by using it in lower throttle speeds. Never point a leaf blower towards a pet or another person. First Published Date: Jun 23 2006 Last modified Date: April 22 2019 This page may have been updated recently as new information is available or the content may have been edited for better readability.